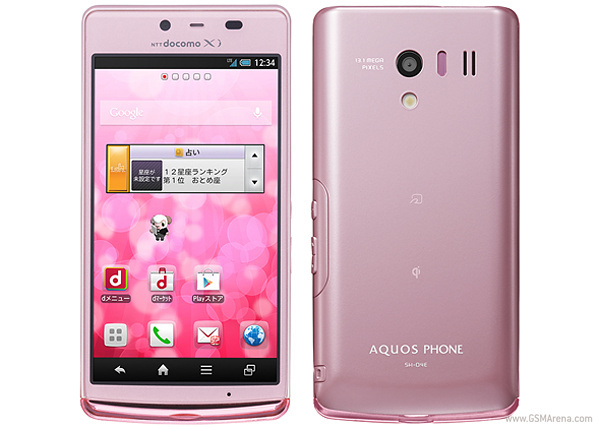 The Sharp Aqous EX SH-04E ladies smartphone has been launched in cooperation with NTT DOCOMO in Japan. The smartphone will be equipped with a 4.5" 720p HD, S-CG Silicon TFT LCD display. The Aqous EX SH-04E will be powered by Snapdragon S4 Pro 1.5 GHz Quad Core processor along with 2 GB of RAM. The device has a 13 MP camera and comes with 16 GB of internal memory, and will feature Android 4.1 Jelly Bean powered by a 2000 mAh battery. Predictably, the ladies phone comes pre-loaded with a reality application, which captures the user's face and allows them to try some Shiseido cosmetics like eye shadow, lipstick, and others. Unfortunately, there are no official confirmations on the pricing of the device yet, although the smartphone will be made available in Pink, White and Black color variants. Thanks Roshan, for sending this in!